Featured Family Photo: Member Russell C.
A few months back member @Russell C. shared a personal story with us and it really left an impression on me. 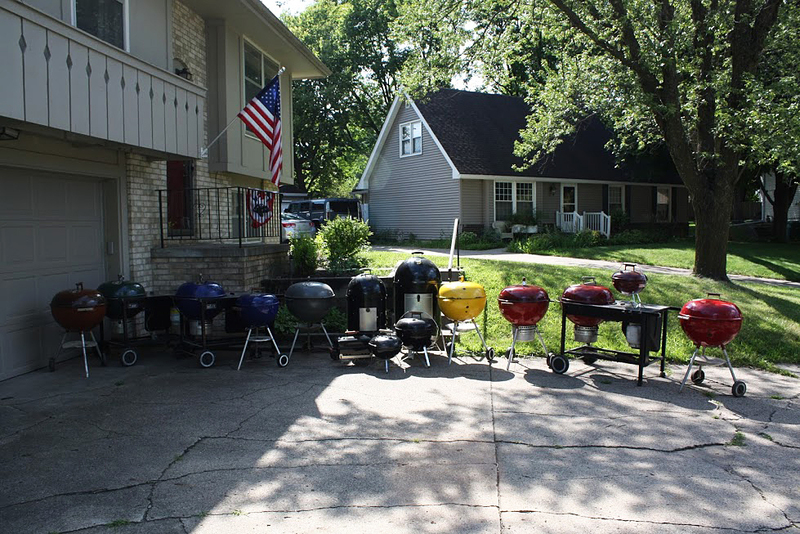 His story sheds light on a unique part of this hobby that makes it truly special in my opinion, and that is the memories that we associate along with these grills. His words tell the story best so please have a look. Grilling is an activity that brings friends and family together, and for many the centerpiece of those good times is a Weber kettle. Perhaps its the unique shape? The glorious food? or maybe the fact that they lasted so long? Whatever the case may be, these grills tend to trigger fond memories for many and thats what makes it more than just a BBQ. It sounds like your Mom was a special person Russell, thank you very much for sharing your story and please accept our condolences. Hopefully every time you pull out a grill for a cook you can have a little smile at your amazing “stamp” collection. Thank you very much for kind words and sentiment Matt. With holiday season quickly approaching it was a perfectly timed reminder that it’s OK to remember the past, but to not dwell on any sadness. Rather celebrate those precious memories of the good times and focus on making new memories with our family, friends and loved ones. Thanks you to everyone who offered their sincere condolences. My best wishes to all of you and yours this season.